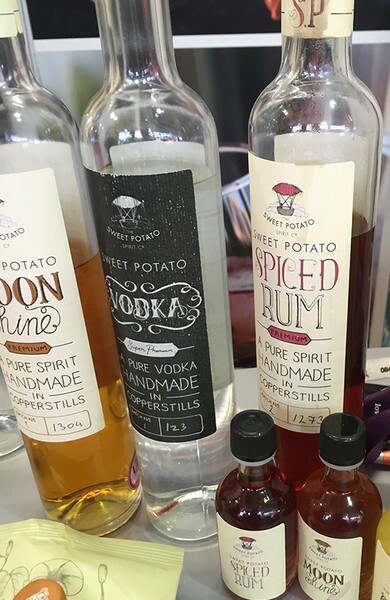 We came across The Sweet Potato Spirit Co. when we visited Imbibe Live 2016 a few weeks ago. 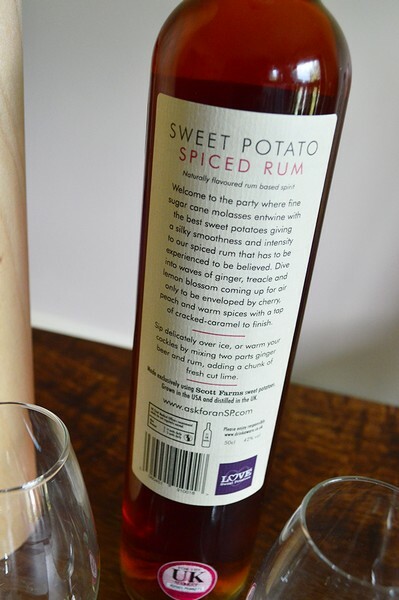 We were intrigued and a bit sceptical when we first saw that there was a “Sweet Potato Spiced Rum”. Having tried dozens of spiced rums so far, we know that a lot of them left us very disappointed, either due to being over powered by spices, or lacking the flavour of a decent rum. At the stand we met Garry Smith, the founder of the company, a sweet potato fan, and an artisan distilling enthusiast, who introduced us to the spiced rum. 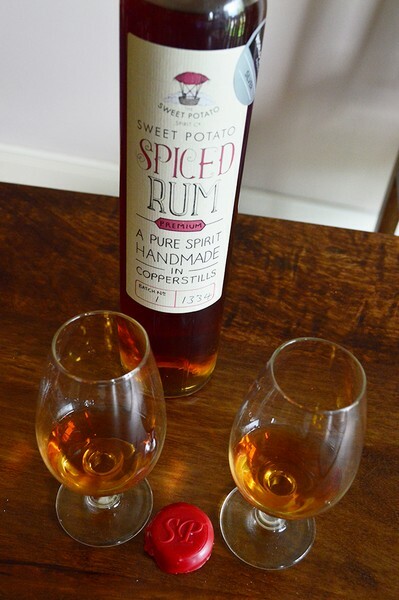 The Sweet Potato Spirit Co. make their spiced rum from scratch. The molasses is distilled in East Anglia, England, and sweet potatoes sourced from Scott Farms in North Carolina are added at a later distillation, together with some other ingredients. The spiced rum contains a high concentration of cherries, significantly influencing the colour. The spirit only contains natural spices (a commercial secret blend), one of which is hibiscus. So what did we think about the spiced rum? On the nose: Our first thought was that this has the fruity, tropical nose of a high-ester Jamaican rum. We got lots of pineapple, light tropical fruits and a touch of lemongrass. In the mouth: We got pineapple as soon as it hit the palate, then cherry, moving to burnt sugar – a hint of bitterness but still sweet. Texture wise, it’s smooth and slightly oily, giving way to a short but fiery finish. Sipping or cocktails? We could quite easily sip this. As recommended on the bottle we also tried with a ginger beer (albeit a bog-standard ginger beer procured last-minute from the local mini Tesco. A Fever Tree ginger beer is recommended instead, for a better balance) and a dash of lime and it didn’t drown out the taste of the rum, which we often find to be the case. The cocktail, a “Warm Rumba”, was quite fiery, warm and spicy; very enjoyable. 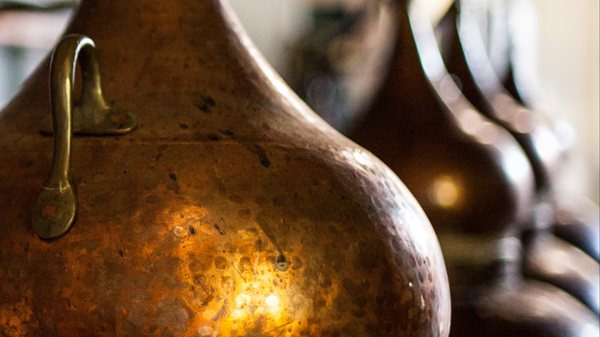 Compared to many rums, let alone spiced rums, this is distilled three times in small copper pot alembic stills, rather than column stills, and makes this spiced rum stand out for us. 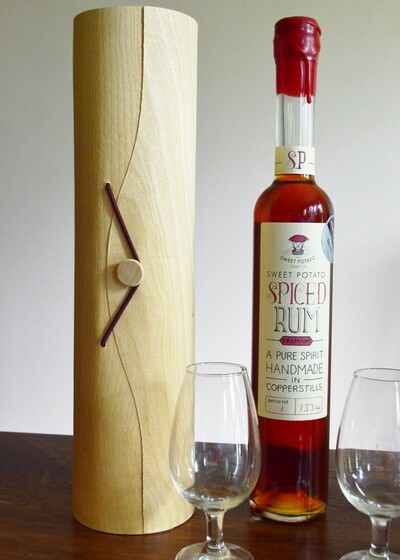 The spiced rum is bottled at 42% ABV, slightly higher than normal, which is normally a good indicator that the spirit packs more flavour, especially in the case of a pot still spirit. At the heart of the spirit, the alcohol from the spiced rum comes from molasses, and with the further distillation, the sweet potato adds to the alcohol content of the spirit. This might spark some debate whether this a spiced rum or not, but when it comes to nosing and tasting, this spirit is definitely rum-like. We really enjoyed the flavours, smoothness, and uniqueness of this spiced rum.